In 1962 Lotus launched the new and ground-breaking Lotus Elan. Following on from the Elite, the new car offered improved handling and better performance. 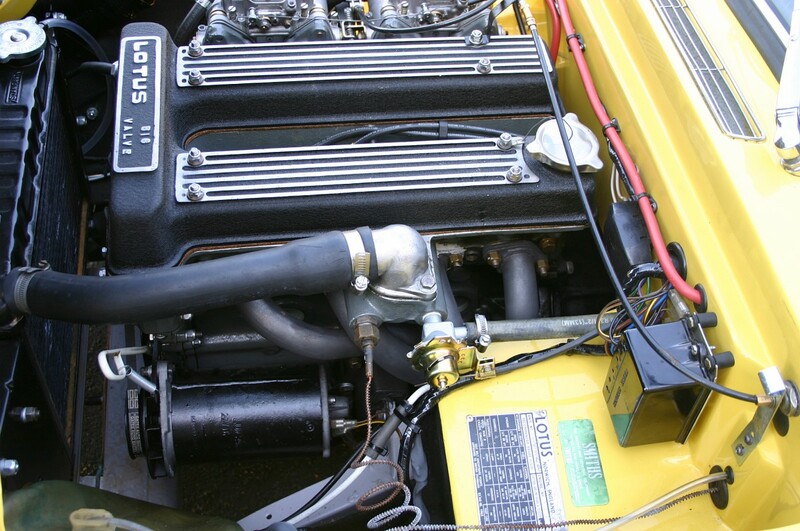 Below the bonnet sat a new 1558cc, twin cam four cylinder engine which would go on to power other classic Lotus models including the Cortina sporting saloons. The desirable Elan ‘Sprint’ was officially introduced in 1971 and was the ultimate incarnation. It justified its name thanks to a substantial increase in power to 126bhp resulting from the adoption of a big-valve head with high-lift cams, a raised compression ratio and (initially) Weber 40 DCOE 31s. The drivetrain was suitably toughened and braced, and the front callipers were redesigned to cope with the increased performance. In the time between the public announcement of the Sprint at the 1970 October Earls Court Motor Show and the official launch of the car in February 1971, there was frantic activity at the factory. With the motoring public clamouring for the more powerful Elan, the decision was made to convert a small number of ‘SE’ S4s to Sprint specification at the factory. From the VIN records it appears there was no logical order to the selection of which S4 cars were converted and in March 1992, the then Lotus archivist, Michael Pomfret, claimed that just 79 S4s were converted to Sprint specification in early 1971, the last on 27th March. These factory converted cars, known colloquially in Lotus circles as ‘S4/Sprints’, often retained the bonnet bulge from the S4. Today, the cars from this select group are much sort after due to their rarity and pioneering role in the story of the ultimate Elan. The large history file for this car includes a letter from Lotus Cars in 1980 confirming that the car is a Sprint, that its first owner was Mr M W Healey, and it was supplied by Len Street of Chelsea. Later in the history file is the recent letter from Lotus Cars, together with the Certificate of Vehicle Provenance, confirming the information set out in the earlier 1980 letter, and further confirming that it was then factory converted to Sprint specification. The car was first registered for the road on the 10th May 1971. There is further correspondence on file with Tim Wilkes, who runs the Elan Sprint website, discussing some of the interesting differences between the S4 Sprints and those which were produced six months or so later. The file has a number of old test certificates and history of early work carried out on the car, but the most important part is the latest records for the complete nut and bolt restoration just finished, together with a comprehensive photographic record. The cost of this restoration was in excess of £41,000 if VAT is included. 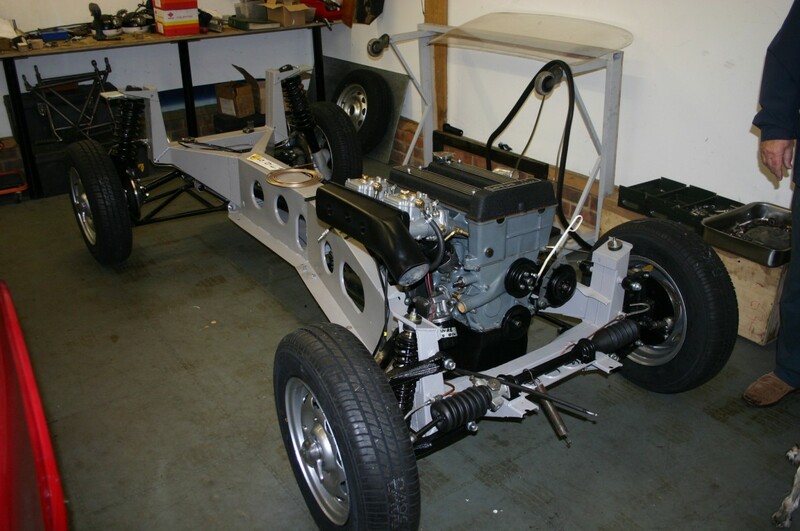 This latest comprehensive restoration involved stripping the car down to a completely bare chassis which was then sand blasted, minor repairs made to one front upright and then powder coated. The body was completely restored with a new gel coat and then repainted in its original colour. The wheels were refurbished and repainted in their original silver. The engine, gear box and back axle were fully rebuilt, and all the suspension, steering, and other parts of the running gear were fully restored, apart from the few parts which needed replacement. The Weber carburettors were beyond economic repair and were replaced with genuine new Webers. 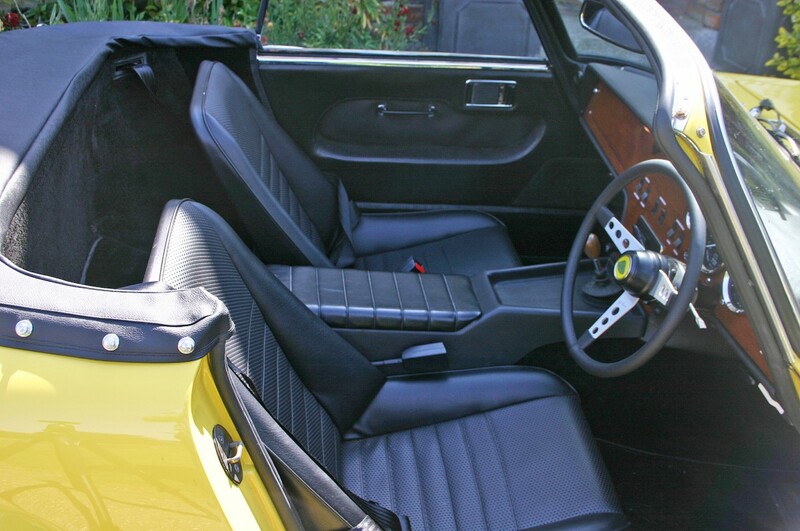 The interior was completely restored with original dash being refurbished and utilizing the original instruments. The electric windows were completely restored with new sub frames to the bottom of the windows. 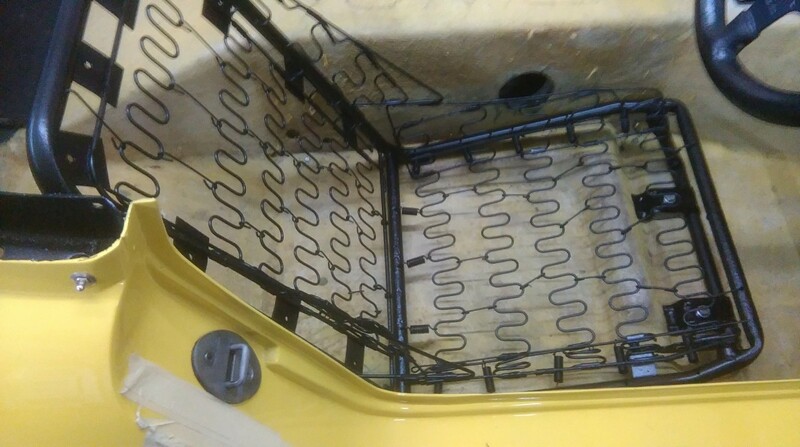 The seat frames were sand blasted, powder coated and new springs fitted, and then recovered with factory specification black vinyl. New carpets were fitted throughout. The car has done a few hundred miles since the completion of the above exercise and drives like a new car, as one would expect. 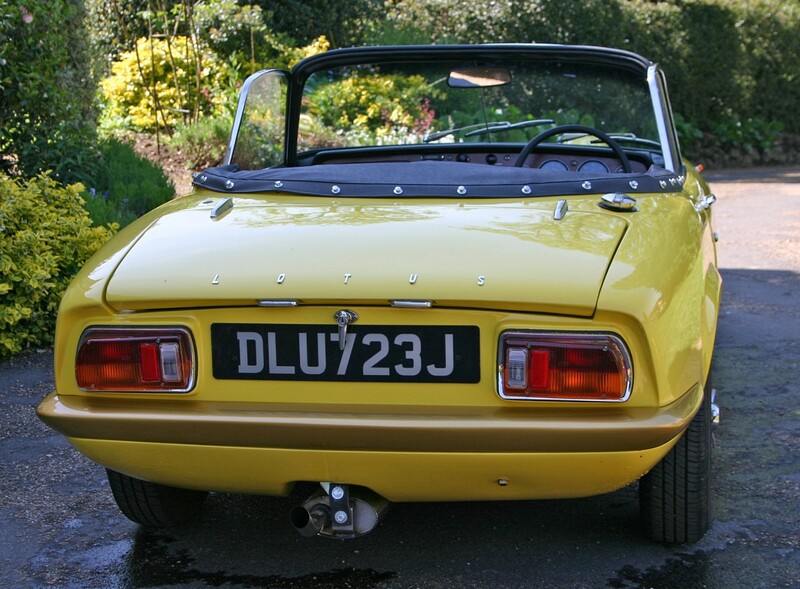 The Elan Sprint is now a highly sort after and rare classic, and this immaculate example of an S4/Sprint convertible is possibly the rarest of all.